Swift riflescopes are now Swift Premier SRP riflescopes. We call them Super Resolving Premiers (aka SRP) because the most significant improvements seem to be in the light gathering and clarity of the optics. A proprietary new lens coating is said to be Light Amplifying. They have long eye relief as well... Most are near 3 inches or better. The elevation and windage adjustments feature low profile target knobs with dust covers. 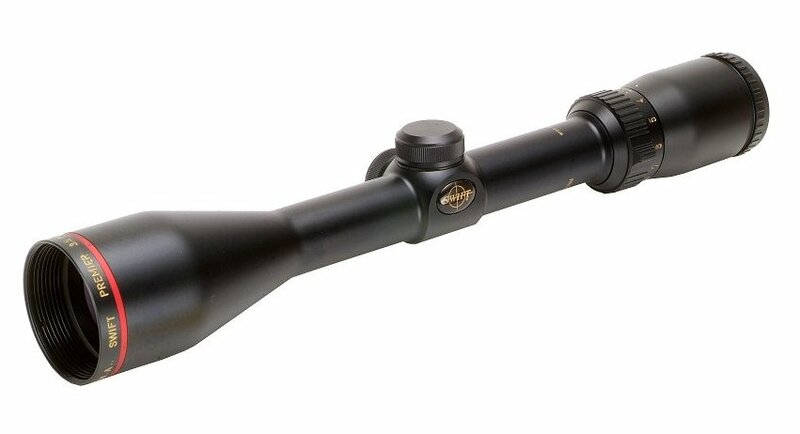 Swift Premier SRP riflescopes have fully multicoated lenses with full saddle one piece tube construction and feature Speed Focus eye pieces for best reticle focus. All SRP riflescopes come with a free screw-on sun shade.